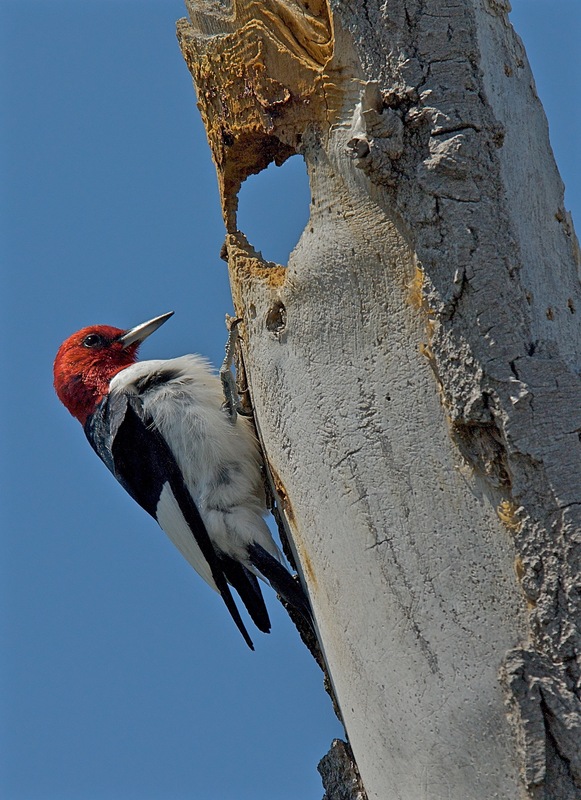 The Red-Header Woodpecker is all over our area. 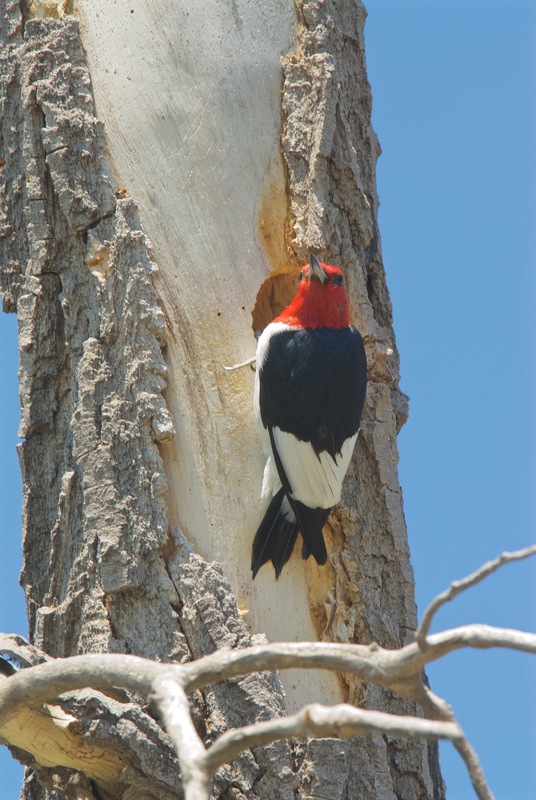 If you haven’t seen one, blame your local tree trimmer as the bird refuses to nest in anything but a dead tree or dead tree limb. 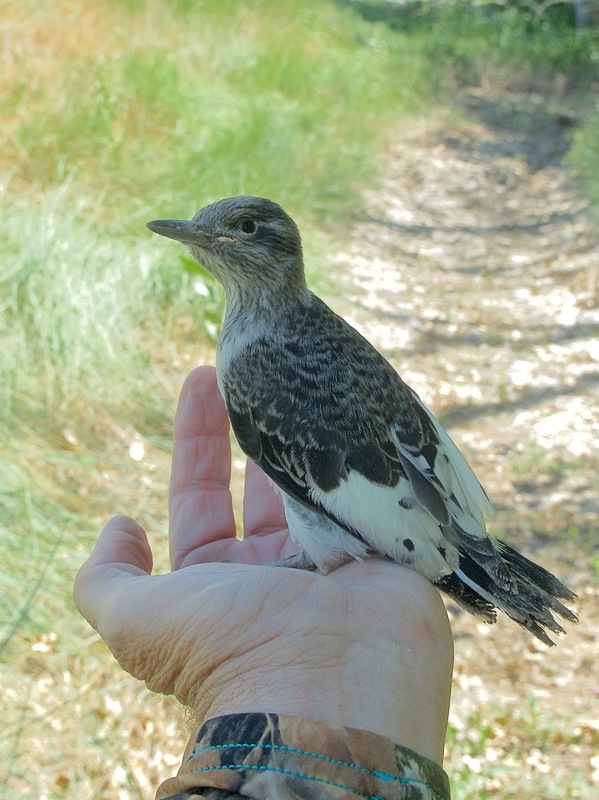 A fledgling Red-Headed Woodpecker. The red comes the following year.